We can’t slow down now. We need to keep our movement going—and that means demanding our current elected officials take action to stop gun violence, and working with our communities to create change at the local level. 1. Join a MFOL chapter to help end gun violence in your area. As a member of a local March For Our Lives chapter, you’ll get updates on chapter events – town halls, lobby days, meetings, and more. Bring some friends or come by yourself to help us pass important local, state, and federal legislation, learn how you can get more involved, and start helping us end gun violence where you live. Not sure which MFOL chapter is closest to you? Look it up by entering your zip code. First, you can attend a town hall of one of your elected officials and ask them what they’re doing to protect their constituents from gun violence. Organize a group to attend with you so you can all have a chance to make your voice heard and demand your lawmakers take action to curb gun violence. Find out when your members of Congress will be in your state on recess this summer and if they’re hosting a town hall. 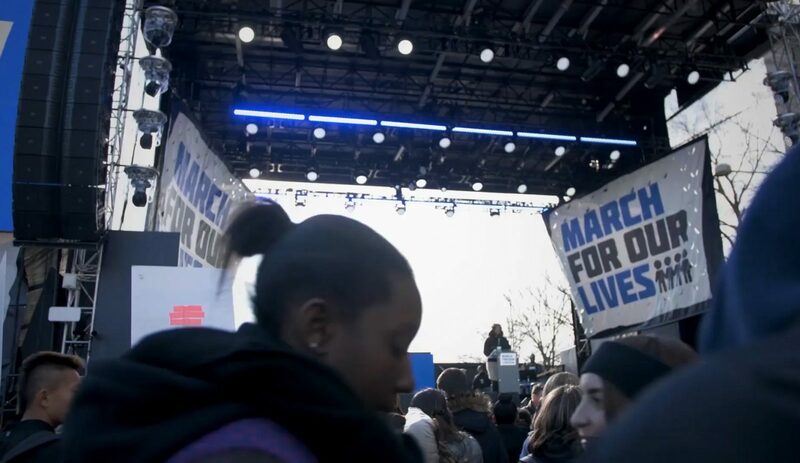 Organize your friends or local March for Our Lives chapter to attend and ask them what they’re doing to save lives. 3. Create a working group in your community to discuss the effects of gun violence and take action to promote peace. 4. Fundraise for violence prevention programs in your area. Organizations like ChicagoStrong, Life Camp, Ceasefire, the Coalition to Stop Gun Violence, and Giffords: Courage to Fight Gun Violence all work toward ending the epidemic of gun violence in our communities. You can donate to one of these organizations, or find an organization in your community to support. 5. It’s critical to vote in every election, and to make sure everyone in your community is registered to vote, too. Start by hosting a voter reg drive in your community. The first step to change is making sure everyone over 18 is able to make their voice heard at the ballot, and that means getting out there and registering voters. Our partners at Rock the Vote have a great toolkit that can guide you step-by-step on hosting your own event to register voters in your community. Check it out here. And if you’re not already registered, register to vote here!